It’s the early 1990s and HIV/AIDS has already claimed many lives, but little is done to combat it. Advocacy Group ACT UP is trying to change that, planning several different interventions. Nathan (Arnaud Valois) has just joined the group and is swept up in their relentless energy. Or is he more swept off his feet by Sean (Nahuel Pérez Biscayart) who seems to live for the activism? 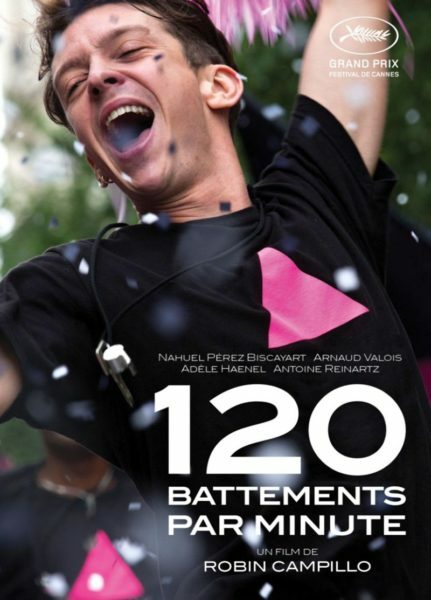 120 BPM is not perfect, but it is a strong film, a love letter to activism and an emotional journey that will leave you breathless.